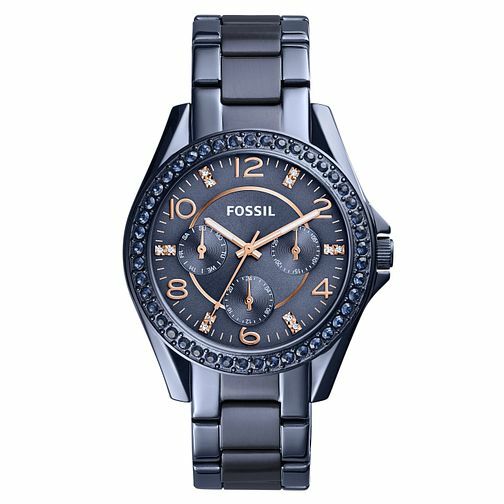 Fossil showcase a contemporary, three-hand timepiece in shining blue tone stainless steel. Featuring stone set hour markers and sub dials on a blue tone dial with stunning rose gold tone details, set in a stainless steel case with stone set bezel. Perfect for the modern woman seeking statement style.